Flawless coastal design and sweeping views of the Gulf of Mexico characterize this newly remodeled Gulf-front retreat in desirable Seagrove Beach. 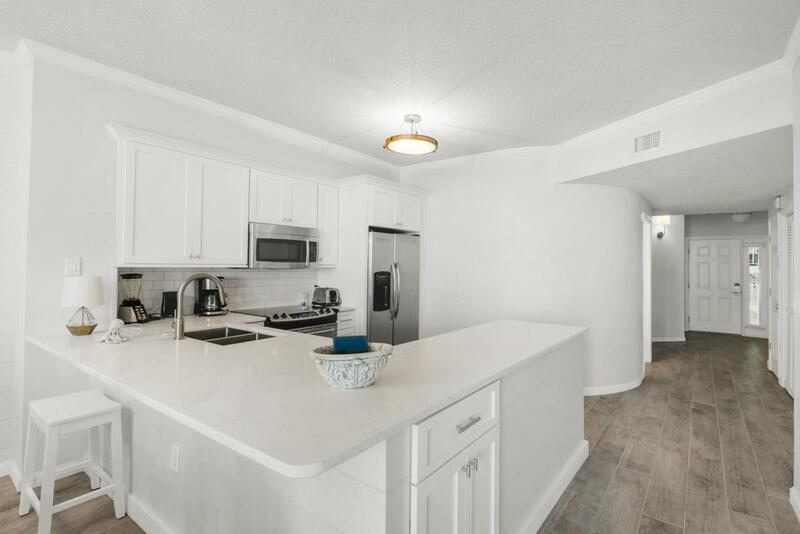 Prominently located on the third floor at Dunes of Seagrove, unit 302A features two full bedrooms and bathrooms, a separate bunk room and a coveted covered parking space conveniently located directly underneath the building. This masterfully designed condo was just completely remodeled Spring of 2019 and features brand new hardwood tile flooring throughout, brand new quartz countertops in the kitchen and bathrooms, new cabinets, tiled showers, a soaking tub in the master bathroom, custom light fixtures, a shiplap accent wall in the living room and extended kitchen countertops. 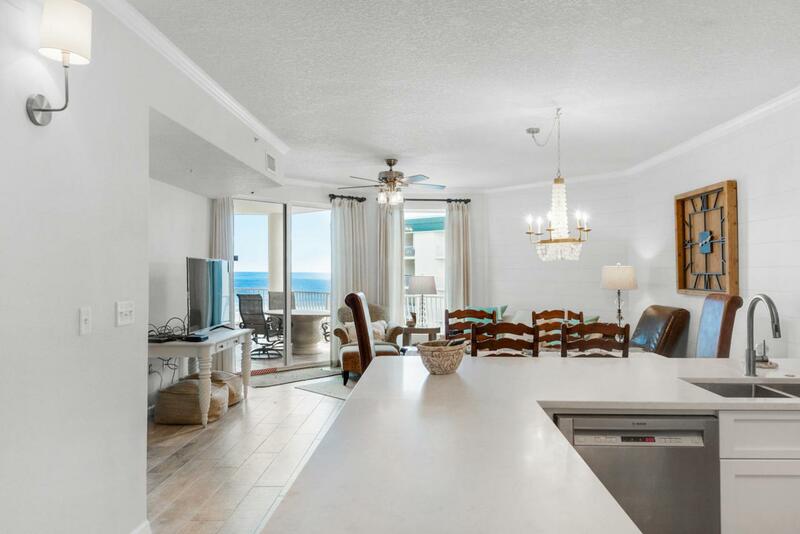 The master bedroom suite is large and inviting and features Gulfviews, balcony access and an en suite complete with a walk-in tiled shower, a soaking tub and double vanities. The guest room is accessible via a long hallway and boasts its own private balcony that overlooks the pools. The newly designed kitchen spills over to the living room and dining room combination that is expertly accented by a chic shiplap wall. Dunes of Seagrove is one of few condo complexes on 30A that offers top notch amenities including direct beach access via a private boardwalk, two large resort style pools that are heated in the off season, a hot tub, an exercise room, a sauna and steam room, on-site bike rentals, a grilling area, tennis courts, beachside kayak and paddle board rentals and an on-site rental management company. 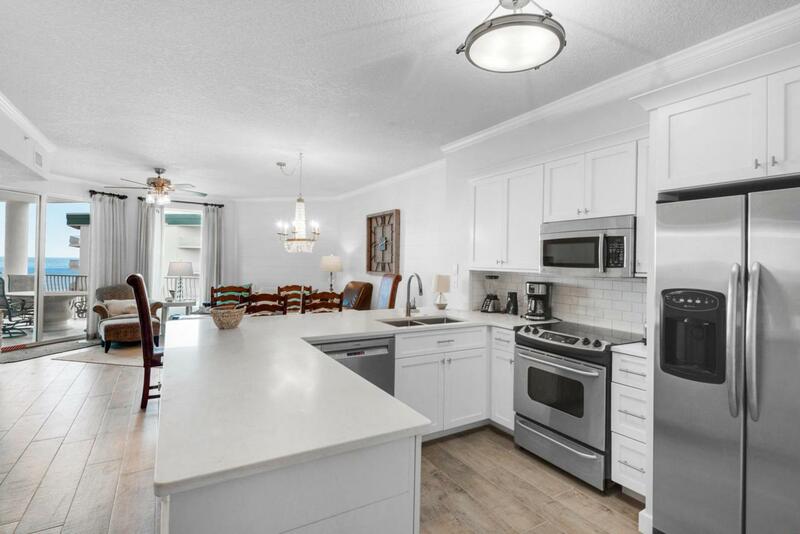 Unit 302A would make a great second home or a perfect investment property with gross annual rental income projected between $45,000 and $62,000. 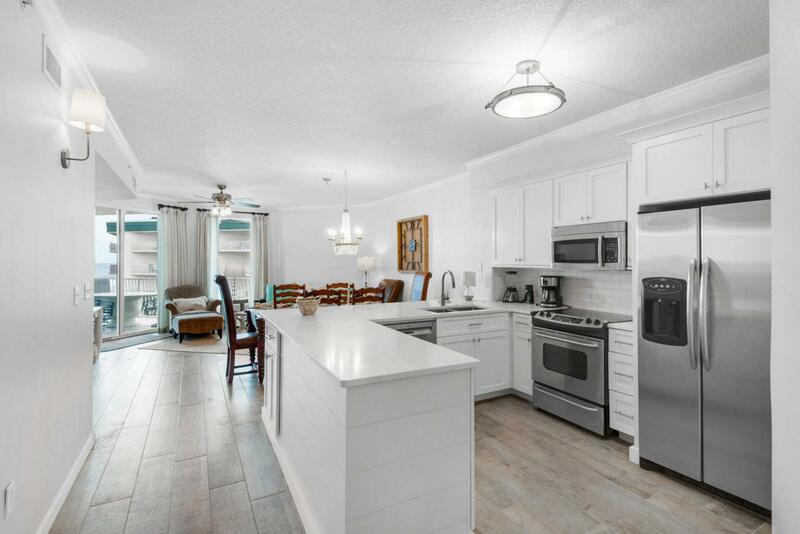 This unit is being offered fully furnished and turnkey ready.